Are you familiar with the term Industry 4.0 and if so what does it mean to you and your company? The term Industry 4.0 has been a buzzword in the industry for a few years to describe the evolution of technology such as IIoT and cloud-computing. Industry 4.0 is reshaping manufacturing with added potential of intelligent operations through analytics, delivering knowledge and wisdom through its valuable data trends that has not been possible before. How is your company set to benefit from the buzz about the factory of the future? We consider ourselves a key partner in shaping the factories of the future with our ever-advancing technologies. We focus our efforts on continuous improvement and development so that we can always deliver cutting edge value to our customers. When we deliver value and benefit our customers, we benefit, too. The team at Dude Solutions is dedicated to positively changing the places we touch and our success is tied directly to our customers’ success. What applications of the Internet of Things (IoT) are you or do you plan to implement in the near future? One example of technology that we implement is predictive technology such as tracking machine parameters to enable predictive analysis of when a machine will fail, allowing us to react before it fails and eliminating costs on over-maintaining that often occurs with traditional preventive methods. Utilizing information to better learn failure trends and signals for predictive analysis allows for the visibility of early indicators that less advanced equipment maintenance is incapable of determining. How do you interpret the term “Connected Manufacturing”? We look at ‘connected manufacturing’ in two ways. First, it’s the machine to machine communication that generates an automated interconnectivity of machines though the IIoT. Secondly, we take the term ‘connected’ one step further by connecting manufacturing facilities together. We make it possible for manufacturing facilities to be able to benchmark themselves against other manufacturers across the nation. We provide an anonymous benchmarking tool for manufacturers to compare themselves to their peers and understand how well they are doing among the rest. Now, companies have the opportunity to gain transparency not only into their own plant floor activities through their connected shop floor but also glean insight into where they rank compared to similar facilities. Do you think Industry 4.0 will bring more (but different) jobs to the industry or will it result in a large loss of employment? We all know, the labor trend in manufacturing is that baby boomers are retiring and it’s difficult to find skilled labor, which brings a unique set of challenges to today’s manufacturers. We see Industry 4.0 as a part of the solution to close the skills gap, transforming manufacturing jobs into higher-tech, higher-paid jobs that will allow manufacturing job interest to increase, especially among the younger generation just entering the workforce. Industry 4.0 will not replace the need for people. People are always needed, especially in the maintenance operations and safety arena. While automating processes and focusing on maximizing overall equipment effectiveness will help people make better decisions, the people are the key to analyzing trends and reacting strategically. Can you give us some examples or scenarios that help to convey the benefits of Industry 4.0 to others in your industry? The automation and collection of information that’s available from machine to machine communication enables manufacturers to transition from corrective to preventive maintenance and ultimately to predictive technologies which rely on more information and data collection. This in turn maximizes Overall Equipment Effectiveness. How about scenarios to convince the general public that Industry 4.0 is a good thing for their future? Industry 4.0 is not only a good thing, but a must for the future. Without implementing technologies as we advance, it will be hard to keep up with increasing global competition. Increasing knowledge such as where money is spent on the floor and which machine isn’t living up to its manufacturer’s promise or guarantee are real advantages of implementing the IIoT. Maintenance managers have the opportunity to be mobile and still remain connected as machines are communicating without human interaction. This mobility equates to less time spent on documentation and more time to focus on strategic decisions. 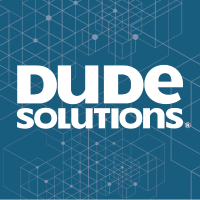 Dude Solutions, parent company of SchoolDude, FacilityDude and TheWorxHub, is a leading software-as-a-service (SaaS) provider of operations management solutions to education, government, healthcare, manufacturing and membership-based organizations. The company combines innovative technology with operational insight to transform the places people learn, live, heal, work, and play. Today, more than 9,000 organizations are using Dude Solutions’ award-winning software for facilities, energy, safety, IT and a growing suite of related enterprise applications to increase efficiencies, improve service and save money.